AIGA Minnesota’s Design Camp was solid from start to finish (hopefully we do it even partial justice during these podcasts) – and a lot of it was just how diverse the speaker selection was. Our final (of 5 interviews we recorded while there) is with a CSS animation expert they brought in – Val Head. Well, we speak CSS animation, front-end coding, and why these should possibly be something you either know, or have a working knowledge of as a designer. 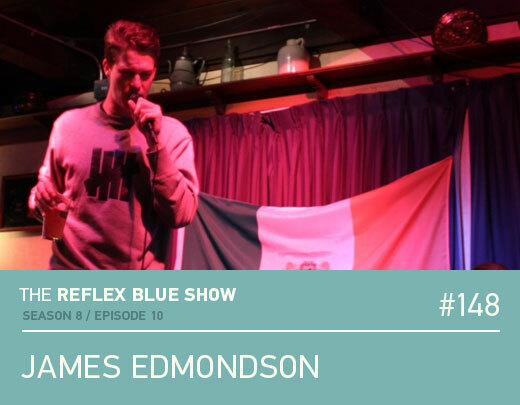 We will be back soon with the launch of season 9 of the Reflex Blue Show. Thanks for listening! AIGA Minnesota’s Design Camp is the largest regional design conference for a reason – not only do they bring in 5 ‘main stage’ speakers, but there are a couple dozen breakout sessions held throughout the weekend as well. One of these happened to be with John Pickerell of Fredrikson & Byron, P.A. 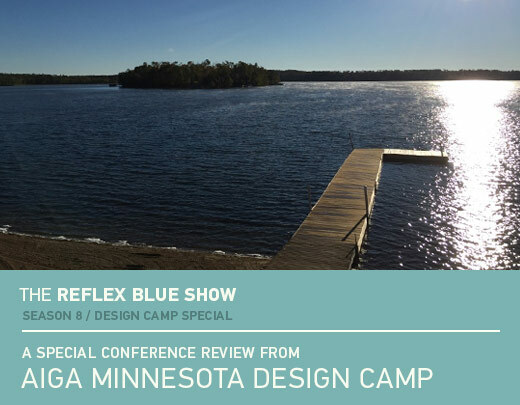 You may have followed some of my 2015 trip to AIGA Minnesota’s Design Camp on Neenah Paper’s blog, or even caught the podcast recap, but I made sure to record some interviews with five of the speakers while there as well. First up? Type and lettering specialist James Edmondson. We talk about his Oh No Type Co., type design, lettering, and making Hobo (and longtime readers know we love Hobo) into Hobeaux. We also talk about the design camp karaoke tradition that James is taking part of in the photo above. Enjoy. AIGA Minnesota’s Design Camp weather-wise, was so much better than my freezing experience from last year. For an event held October 2-4, 2015 in Northern Minnesota, temperature is a risk, but thankfully they throw a hoodie into the swag bag just in case you forgot to pack anything else with sleeves. I did three recap blog posts for Neenah Paper, while at Madden’s at Gull Lake in addition to a few recordings we will release here. Over the next couple months, expect five podcast interviews with the speakers at Design Camp, but to start off, we have this behind the scenes special with two of the amazing organizers of the event – Elise Matheny and Renee Ebert. Enjoy. 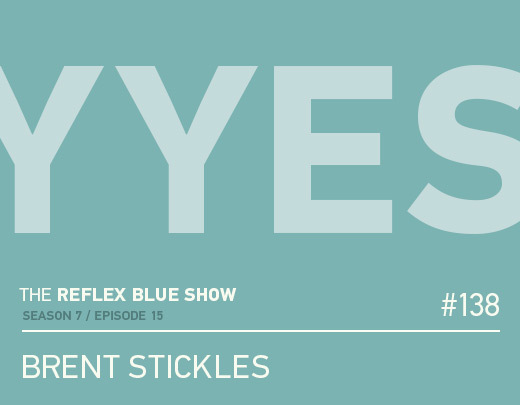 The final of four interviews (not including the recap) from AIGA Minnesota’s Design Camp is with Brent Stickles of YYES. Brent has been the Design Camp stage host / MC / one of the committee for the past four years, and he was great. Just listening to him, you can tell he’s a natural in front of an audience and a microphone. If I was in charge of a conference, I would put Brent right at the top of the list to MC – regardless of what kind of conference it was. So, we speak Design Camp, branding a restaurant, YYES, and more.